When I first bought my bike, I didn’t bother with a motorcycle stand; I didn’t see the point. Even more so now, as I’ve started doing trackdays. I’m not really sure how you change onto wets, or back to slicks, without the help of a paddock stand. 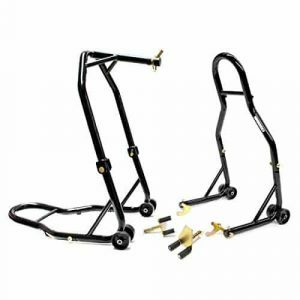 Do You NEED A One-Piece Sports Bike Stand? 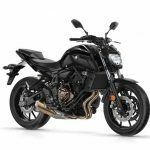 So, Which Motorcycle Stand Is Best? I’ll be honest, as I don’t use my stand that regularly, I was happy with something cheap. 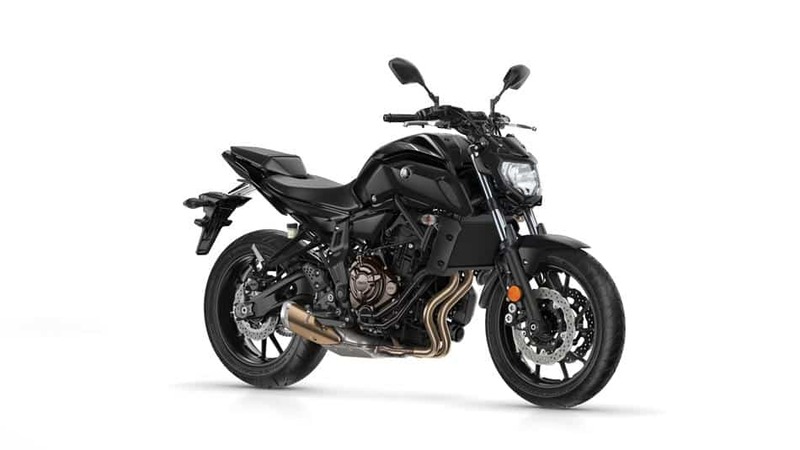 However, I’ve realized that compared to my cousin’s and uncle’s front and rear stands (so, 4 different ones to compare to in total), there are better options out there if you’re willing to invest the cash. If you look at this stand, it’s like mine. You’ll see about halfway through the main frame, there’s a bolt hole. They’ve split the stand in two for one obvious reason; smaller shipping boxes means reduced shipping costs. Having a one-piece stand is preferred. As I said, the fact my cousin’s and uncle’s motorcycle stands DON’T have a join like this, means they are much more stable. I wouldn’t say you need a one-piece, but they’re better; it’s a simple as that. As this guide is focused on covering the best front and rear motorcycle stands there are, I thought I’d make that clear. There is a problem though, and that’s price. You’ll pay around 2x the amount for a fixed/one-piece, over the cheaper two-piece that come flat packed. Basically, you’re talking about $300-400 for a pair of stands, rather than around $125 or less. Will compromise on stability to save cash (I did). If you want front and rear motorcycle stands from Pitbull, don’t expect change from $125. In fact, you’ll struggle to get change from $350 (depending on bike) when buying a pair. BUT, if you want the absolute best stand on the market, this is where you should be funneling your cash. 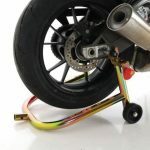 Like most motorcycle stand brands, you’ll be able to get a stand suitable for a dual swing arm. However, it makes much more sense to buy a spooled stand, as it will hold your bike much more securely. If you don’t already have spools, they’re extremely cheap to buy. Generally, you’ll be able to grab spools for your bike for less than $30. Pitbull motorcycle stands come with a lifetime warranty, fit most sports bikes and you’ll have the option for a fixed or removable handle. Head for the removable handle if you’ve not got much room to store it when it’s not in use. 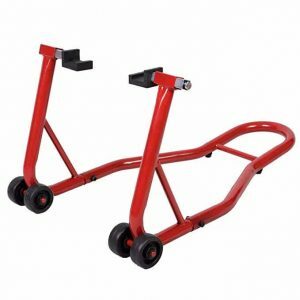 So, you’re on a budget, and want to get front and rear motorcycle stands as cheaply as possible? We’d be heading for Venom. 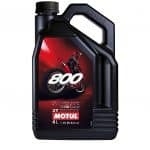 As you can see from the Venom product listing here, they already have over 200 reviews. And, at below $125 per pair, it’s an absolute steal. 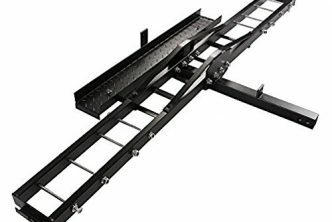 Like we mentioned above, these stands are effectively, in two pieces. The fact they are bolted together and aren’t fixed like the Pitbull stands, means they’re going to be less stable. But, as I also mentioned above, my stand works just fine. 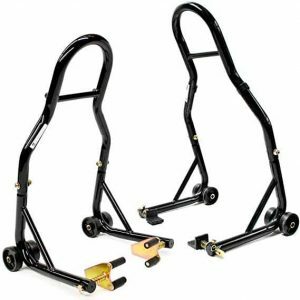 As a cheap pair of front and rear stands, this is about as good as you get, but there are some things worth mentioning, just in case you have a few extra bucks; there are different stands available from Venom. You’ll notice this Venom front stand holds up your bike from the bottom of your forks. 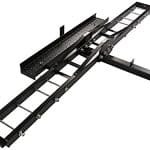 There’s nothing wrong with that, but another option you have is a pinned stand that fits under the triple clamps; known as a triple tree stand. Typically, you’ll get more stability there, rather than a front stand that relies on the fork legs. I found a set from Venom that includes a triple tree stand here. You won’t have to worry about the size pin you need, given it comes with 13mm, 15mm, 16.5mm, 17mm, and 18mm pins as part of the deal. Like the Pitbull, you have the option to lift your bike from spools, or from the swinging arm. The preferred option is always going to be spools. Expect to pay around $30 for spools (bike dependent). You’ll then need a rear motorcycle stand that fits those spools. The ultimate combination is a stand that lifts from the spools on the rear, and the pinned triple tree front stand. 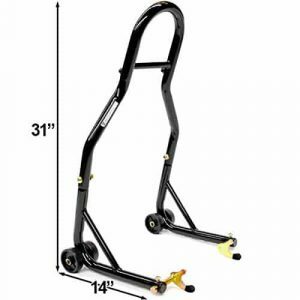 You can grab our preferred option here, being the triple tree front and rear spool lift. You’ll need the second best option (triple tree front stand, and rear swing arm lift) if you don’t have spools, and don’t want to fit any on your bike. You’ll pay around $30 more for the preferred pair from Venom, over the cheapest pair they offer. In my opinion, we’ve already saved $200+ by not buying Pitball stands, so for extra stability it’s great value for money. You want a spool lift stand for the rear, and a triple tree front. 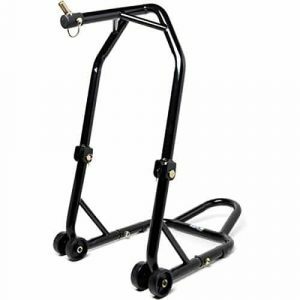 Pitbull motorcycle stands are the best – they’re one piece so offer more stability – but they have the price tag to match. I’d rather have the Pitbull stands. But, for the cash saving and given stands like the Venom ones here work perfectly fine, I’d rather spend that cash saved on my bike. Thanks for reading our review of both the Pitbull and Venom motorcycle stands. 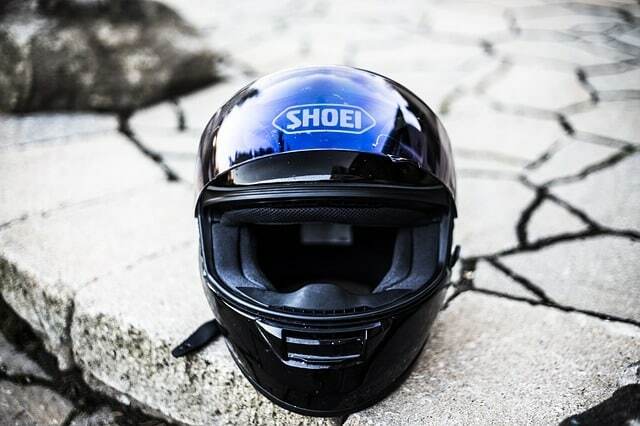 Hopefully, you’ve got all the information you need to get your bike jacked up and fixed up for your next ride. 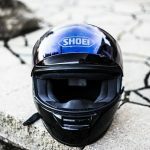 I’m a motorcycle and outdoor junkie and regularly post up reviews of kit I buy, bike fixes and more. 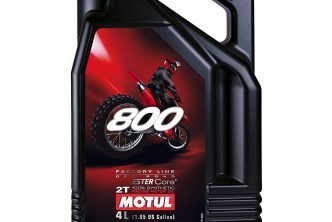 Pop back to our motorcycle page soon and check out what’s new.